I’m am very late with June’s pick for the Movie Watching Group (MWG). 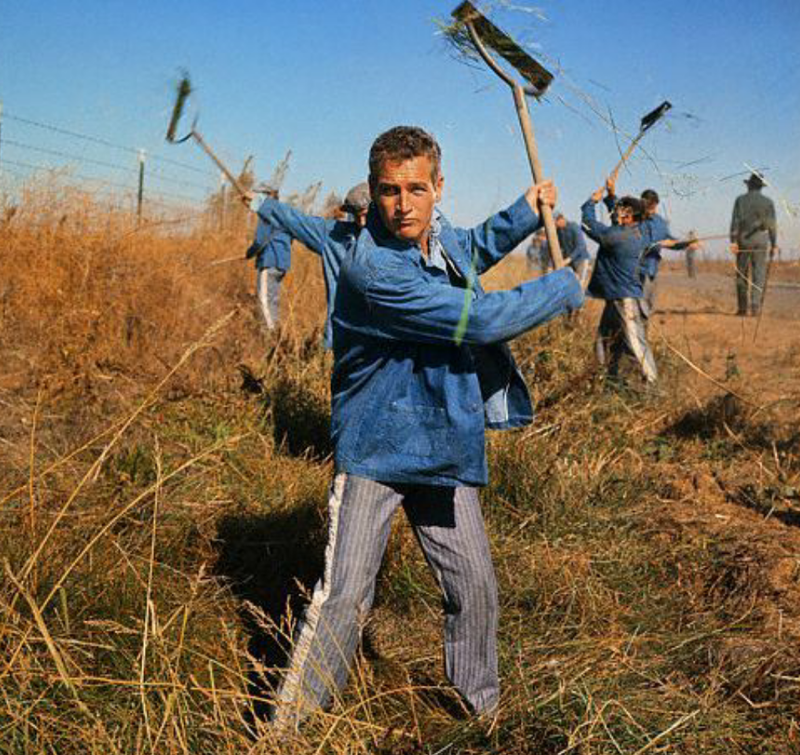 After reading an Entertainment Weekly issue that went through all of Paul Newman’s movies, Cool Hand Luke sounded like the most interesting one I had not seen. I also liked when I heard that Dr. Cox in Scrubs would rub his finger on his nose at least once an episode like the main character in the movie. It is a classic I have never seen! Netflix Synopsis: What we have here is a failure to communicate! Lucas Jackson (Paul Newman) is a man who likes to do things his own way. That leads to a world of hurt when he winds up in a hellish Southern prison camp — and on the wrong side of a sadistic warden (Strother Martin). George Kennedy won an Oscar as a fellow prisoner who tries to break Luke and then comes to revere him. The stellar cast includes Dennis Hopper, Harry Dean Stanton and Joe Don Baker. 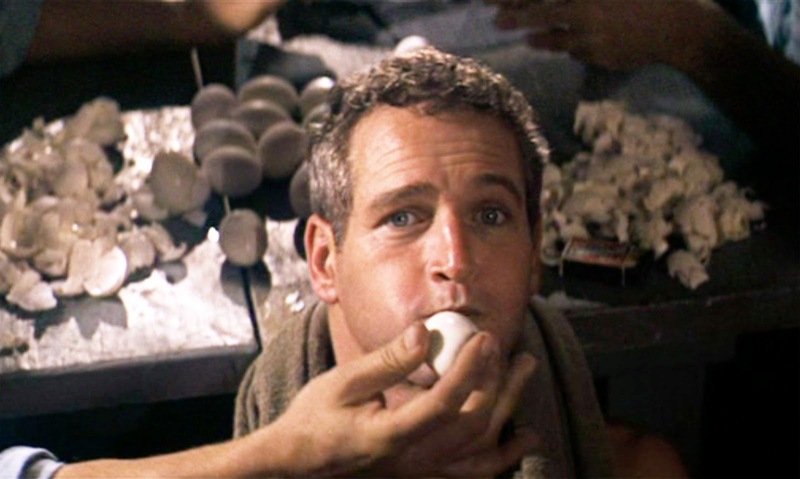 RT Consensus: Though hampered by Stuart Rosenberg’s direction, Cool Hand Luke is held aloft by a stellar script and one of Paul Newman’s most indelible performances. Watch it and come back here to review it! It drove me crazy that I couldn’t think of which song sampled the failure to communicate thing. First I thought Minstery, then I thought Metallica, so then I had to look it up and it is crazy Guns and Roses, and not in a very good song either, though I guess it must be ok ’cause I remembered at least this part. I totally missed the nose rubbing thing. I should have read this first and paid attention. I really liked Paul Newman in this movie. It seemed that there was alot of buildup of his character really doing nothing wrong and everything being overall ok, then things went real bad, real quick. It’s frustrating because it feels like his character really did nothing to deserve all that. My first reaction after the movie ended was along the lines of “That was crap!” but that was an emotional reaction. Overall I think this is a good movie. I’m thinking about life and faith and bits of the movie. I really liked Paul Newman alot, but some of the supporting cast bugged me. I can’t believe I forgot to write about this after I had watched it! I forgot to pay attention to the nose rubbing thing and I didn’t notice it. I know the “failure to communicate” line since it is said very often by other people. I know I don’t know it from Guns and Roses. Maybe Stacy knows just knows it from people saying the line a lot. Paul Newman was awesome in the movie. They seemed pretty harsh about punishment back then and then concentrating on breaking him down psychologically when he had vandalized some parking meters. Two years because of that? Craziness! But I just went along with the wackiness of the movie. I loved when he was always trying to escape and how everyone looked up to him with his determination. 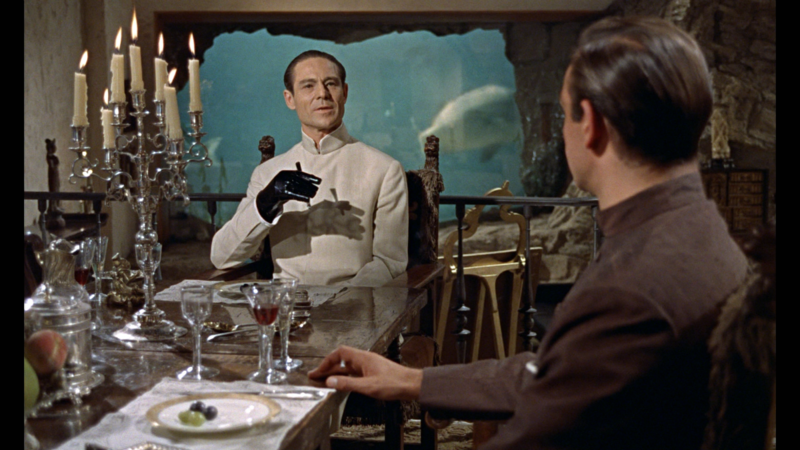 I did spend some time picking out people in the supporting cast that I had recognized in other movies but they were so young, it was hard to tell. I spent a good amount of time on IMDB trying to figure out who was who. We did see Dennis Hopper in there and thought for sure Gary Busey was there, but we couldn’t get that last one confirmed. the people who work at the prison are already freaking me out! but i love the mirror sunglasses and the dogs! Night in the box – this is how you can tell this isn’t a cat prison cuz that would be a reward. The ominous music makes me wonder what will happen now? what is this lady doing in front of the prisoners? oh I see where all the car wash commercials come from now! boxing – is this really a good idea? first it was all in fun, and now the music tells me it’s bad! sad banjo in the rain! Bella does not like the dog noise from the movie and has left the living room! oh no! he didn’t make it! omg chains! hahaha what is your dirt doing in his ditch? No eyes shot a turtle? wtf! mean!